Hyundai Motor Company plans to launch an all-electric SUV by 2018! According to latest news from Korea, Hyundai is working on an all electric SUV which is scheduled to hit the market in 2018. The upcoming SUV may not challenge the Tesla model X, but will be a worthy competitor to the upcoming Tesla model 3, Chevy Bolt and the second-generation Nissan Leaf. While details on the new Hyundai electric SUV are scarce at this point, a Hyundai spokesperson has confirmed the arrival of a new electric SUV in 2018. 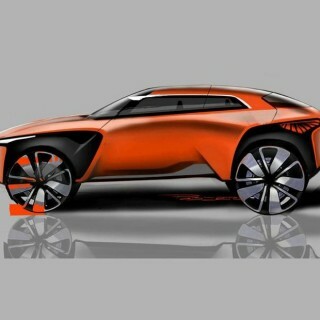 Latest rumors also suggest that Hyundai has developed an entirely new all-electric vehicle platform for their new SUV. The platform is completely different from that used in Ioniq electric car and developed for the use of “all-electric” vehicles only (no hybrids / no plug-in hybrids)! Also worth noting is the news that the vehicle will have a range of 320 kilometers (200 miles) miles on a single charge which means Hyundai will is joining the club of 200-mile electric cars. It is highly likely that Hyundai will also offer the same SUV with a larger battery pack and longer range (up to 300 miles). What we do know for sure is that this platform will spawn other Hyundai EVs and will also be shared with their sister company Kia Motors! Stay tuned as we will dig deeper into today’s news and publish updates here! !